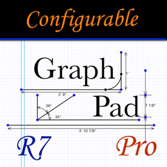 This is the full version of GraphPad that can be configured with a company's forms, price lists and libraries of symbols. 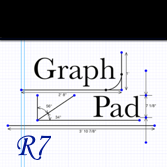 Customers can either configure GraphPad themselves or have me do it for a small fee. This version is available for download as a free App through the App Store, however, access is restricted to users who have setup a lease arrangement directly with me.